Erin Johnson is in the fourth year of her DPhil in English at the University of Oxford. Her thesis examines representations of masculinity in the Brontës’ early writing and mature work. She’s also submitting BELLADONNA, a YA historical fantasy novel, to literary agents while drafting a new YA historical. Have you ever found yourself wondering why we never read novels from the 1820s and 1830s? One day on a nineteenth-century novel survey course you’re reading Jane Austen and Mary Shelly’s Frankenstein, and the next, you’ve skipped ahead to Charles Dickens’s The Pickwick Papers and the other canonical early Victorian novelists: the Brontës, Elizabeth Gaskell, William M. Thackeray. Where did the eighteen years between 1818 and 1836 go? At the time of publication, silver fork novels could almost be read as guides to living fashionably, as they were very particular about which shops, dressmakers, and clubs marked one as belonging to the ‘ton’. As industrial capitalism took hold in Britain, the richest members of the middle class attempted to break into the highest reaches of British society. The aristocracy needed something other than wealth to maintain their privileged position. Adherence to quickly changing fashions thus became a way to distinguish members of fashionable society from ‘vulgar’ arrivistes. The stock character of the dandy particularly invited criticism, as the man of fashion, who cares only for his presentation to the world. Thomas Carlyle denounced the dandy in Sartor Resartus (1834) after reading Maginn’s 1830 review of Bulwer’s Pelham (1828). [x] He identified the dandy as ‘a Clothes-wearing man, a man whose trade, office, and existences consists in the wearing of Clothes.’[xi] In his performance of passivity and his enslavement to fashion, the dandy represented a feminised figure as emasculated as Maginn suggested the silver fork reader was. Elements of fashionable fiction appear in the Victorian novel, but many readers would never recognise them as such. An extract from the fictitious silver fork novel ‘Lady Flabella’ appears in Nicholas Nickelby (1838-1839), for instance. Thackeray parodies the genre in his ‘Lords and Liveries’ and ‘Marchionesses and Milliners’, while Vanity Fair (1848) could be seen as the supreme satire on the genre, as governess Becky Sharp insinuates herself into the upper reaches of English society. 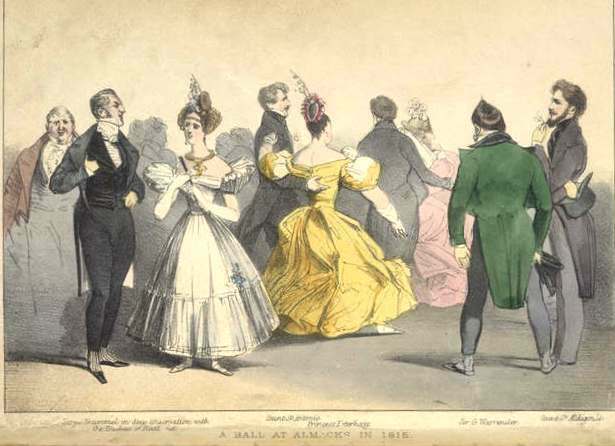 Anne Brontë reflects on the dangers of Regency masculinity in her second novel, The Tenant of Wildfell Hall (1848), which features hunting parties, club life, drinking and gambling. 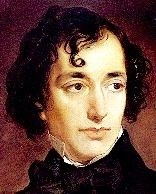 Even Disraeli, after moving on to the social problem novel in the 1840s, returned to many of the tropes of the silver fork novel in his political bildungsroman Lothair (1870). [i] Cheryl Wilson, Fashioning the Silver Fork Novel (London: Pickering-Chatto, 2012), p. 1. Edward Copeland, The Silver Fork Novel: Fashionable Fiction in the Age of Reform (Cambridge: Cambridge University Press, 2012), p. 2. [ii] Andrew Elfenbein, Byron and the Victorians (Cambridge: Cambridge University Press, (1995), p. 219. [iv]This seems to be changing, as two new monographs on the subject were released in 2012: Wilson’s Fashioning the Silver Fork Novel and Cope’s The Silver Fork Novel: Fashionable Fiction in the Age of Reform. [v] Winifred Hughes, ‘Silver Fork Writers and Readers: Social Contexts of a Best Seller’, NOVEL: A Forum on Fiction, 25.3 (Spring, 1992), 328-347, p. 345. [vii] [Archibald Alison],‘The Historical Romance,’ Blackwood’s Edinburgh Magazine, 58 (Sept. 1845), 341-356, p. 342; William Maginn, ‘The Dominie’s Legacy,’ Fraser’s Magazine, 1 (April 1830), 318-335, p. 321. [viii] William Hazlitt, ‘The Dandy School’, The Examiner, 10 (November 18, 1827), 721-723, p. 722. [ix] [Alison], p. 343. 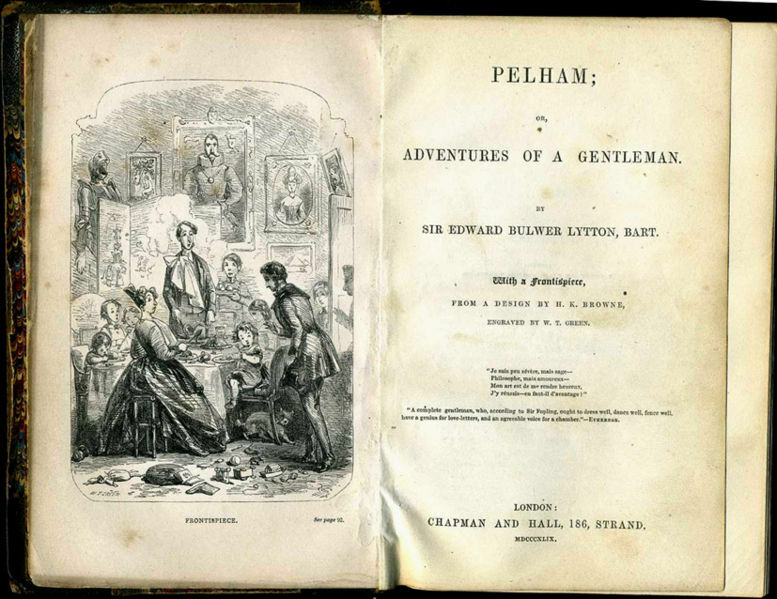 Bulwer Lytton defended the fashionable novel against these criticisms in England and the English (1833), stating that ‘Few writers ever produced so great an effect on the political spirit of their generation as some of these [fashionable] novelists, who … unconsciously exposed the falsehood, the hypocrisy, the arrogant and vulgar insolence of patrician life’. Quoted in Lauren Gillingham, ‘The Novel of Fashion Redressed: Bulwer-Lytton’s Pelham in a 19th-Century Context,’ Victorian Review, 32:1 (2006), 63-85. [x] Elfenbein, p. 103; [William Maginn], ‘Mr. Edward Lytton Bulwer’s Novels; and Remarks on Novel-Writing,’ Fraser’s Magazine, 1 (June 1830), 509-532. [xi] Thomas Carlyle, ‘The Dandiacal Body’, in Sartor Resartus, ed. by Kerry McSweeney and Peter Sabor(Oxford: Oxford University Press, 2008), 207-217, p. 207. [xiii] Winifred Hughes, ‘Elegies for the Regency: Catherine Gore’s Dandy Novels’, Nineteenth Century Literature, 50.2 (Sept., 1995), 184-202.